The WDF4840 can be used wet or dry as it features a showerproof design and an anti-slip grip. 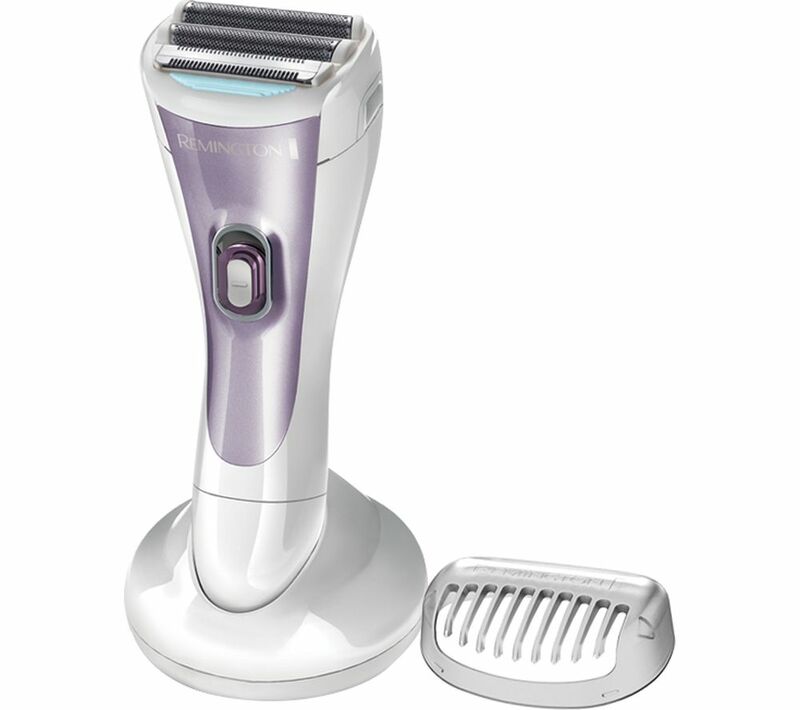 It can be charged using the included charging stand to provide up to 30 minutes of cordless shaving time, making it ideal for those with busy lifestyles. With two hypoallergenic floating foils that follow the body's contours, the WDF4840 lets you shave those hard to reach places with confidence. Protecting your body from any potential nicks and cuts, the shaver features an integrated flexible trimmer that trims fine hairs and leaves a soft and polished finish. A handy bikini attachment means that you can gently and precisely trim intimate areas with minimal hassle. To keep the WDF4840 operating efficiently, you can use the included cleaning brush to ensure that no hairs are clogging the foils or intercept trimmer. This helps to keep the shaver clean and hygienic. Easy to use. Does not "pluck"